This is the time of year I like to bake. It’s the Jewish High Holidays which includes Rosh Hashanah, the Jewish New Year along with Sukkoth, a celebration of the harvest. While apple cake is one of my regular offerings, for those who want just fruit and a little sweet nibble following the meal, these cookies are a favourite. There’s certainly plenty of whole grains included with the coconut oil providing a crisp texture that gives the cookie staying power over a few days (if they last!). I do freeze half the batch so I have some right through the holidays. But you don’t have to be Jewish to enjoy them! Cream together the coconut or oil and sugars until light and fluffy creamy. Beat in the eggs one at a time. Drop the dough in teaspoonfuls onto a lightly oiled or paper-lined cookie sheet. Bake for 10 to 12 minutes or until golden brown. 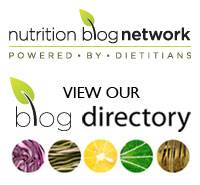 ← Do gluten digestive enzymes really work?